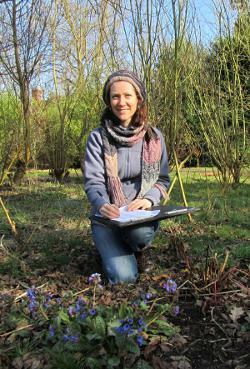 Veronica Lawrie (Ecologist for Atkins) carried out an early spring wildflower survey, identifying a further 66 species to add to our records. Martineau Gardens now have 246 confirmed species of flowering plants within the Gardens. A full Botanical Species List which draws all the previous plant surveys into one place will be available on the website soon. A fantastic resource for us all. Our thanks to Veronica and Atkins for this support!